Christine Brähler, DClinPsy, PhD, is a clinical psychologist and clinical supervisor. She gained her degrees from the University of Edinburgh, UK and is an Honorary Lecturer at the University of Glasgow, UK. She maintains a psychotherapy practice in Munich, Germany, specializing in compassion-based psychotherapy and conducted the first feasibility trial of Compassion Focused Therapy (CFT). She studied and worked in Scotland for 10 years where she trained in mindfulness and compassion with the Mindfulness Association. 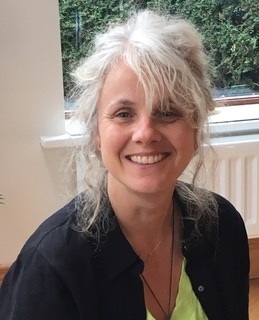 Christine is an MSC teacher trainer, and leads MSC intensives, MSC teacher trainings and workshops on compassion-based psychotherapy around the world. In addition to being Secretary of the Board of the Center for MSC, Christine serves as International Coordinator and as Senior Advisor to the Executive Director of Center for MSC. Christine has published several peer-reviewed articles, book chapters and two popular books in German. Bal De Buitléar I am fully certified Teacher in MSC, trained Teacher in MSC for Teens and Young adults, trained teacher in Mindfulness and I am now also completing the certified Mindfulness Teacher training facilitated by Jack Kornfield and Tara Brach. I have facilitated 8 week MSC Courses in the UK and Ireland, taught with Chris Germer and Christine Brähler on the 2015 and 2016 Holy Isle MSC intensives and taught the two day MSC Core Skills course. I also work as one of the consultation hosts for trainee MSC teachers.